GKR Karate promotes Karate for everyone, including children from 5 yrs old through to men, women and families of all ages. Apart from the obvious development of self-defence skills, Karate training builds confidence, positive attitude, determination, focus, and of course fitness. 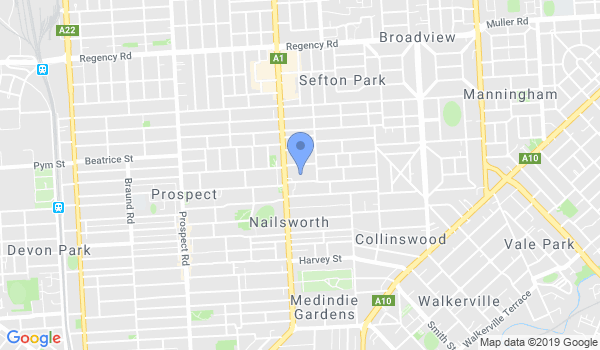 Our karate classes at Nailsworth in Adelaide, South Australia, are taught by passionate instructors who are committed to teaching and passing on the GKR Karate style and our way of life. When you join our club, you will be joining a community of like minded people who share the same common goal of personal improvement. This will be your journey, and you will be encouraged to train at your own pace. Your instructors and peers will be there to support and provide you with a safe, inspiring and empowering environment to develop your skills, and reach your maximum potential. No lock in contracts - Pay as you go! Would you like more information on hours, classes and programs available at GKR Karate - Nailsworth? Please contact the school with your questions. Update the details, Write a Review or Report Error of GKR Karate - Nailsworth. Golden Buddha Health and Wellbeing Inc. This Chart shows the Martial Arts Styles offered most in Nailsworth, Australia area. View a list of Dojo in Nailsworth, or enter your address below to find schools closest to you.